From the stands to the gym, get a sporty look with the Pittsburgh Steelers Nike Slub On-Field Hoodie T-Shirt. This lightweight hoodie is made from Nike Dri-FIT* fabric which is ultra-soft and has a more natural feel. 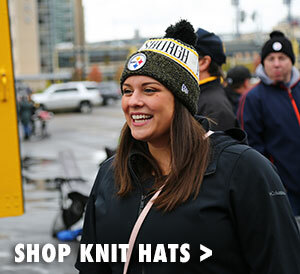 The charcoal grey hooded long sleeve features a Steelers stencil wordmark in gold on the front. 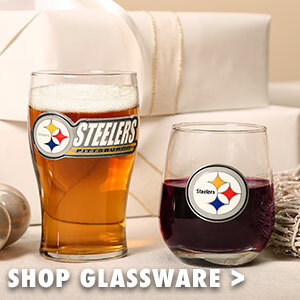 Make sure you have the look of the Steelers sideline this season. 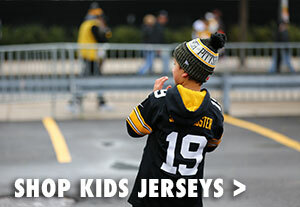 Get a lightweight and comfortable look all year long with the Pittsburgh Steelers Nike Slub On-Field Hoodie T-Shirt. 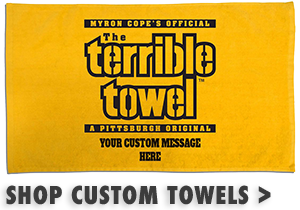 Make sure you have the look of the Steelers sideline this season.